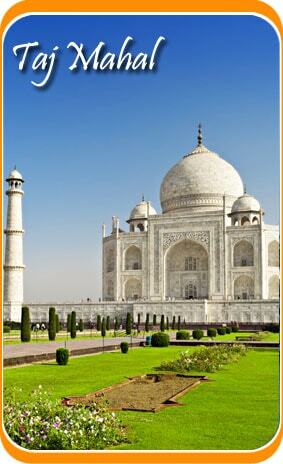 After breakfast in the hotel proceed for Agra by car. Afternoon take guided city sightseeing of Agra visiting the world famous monument of India "Taj Mahal" the symbol of love built by Shah Jahan in memory of his beloved wife Mumtaz Mahal. Later visit Agra Fort. Evening free at leisure visiting marble factory and shopping streets of Agra. Overnight stay in Agra. After having a breakfast in the hotel, drive to Jaipur, the colorful capital city of Rajasthan and also known as Pink city, en-route visiting FatehpurSikri. Later on continue drive to Jaipur, upon arrival check-in the assigned hotel in Jaipur. Overnight stay in Jaipur. After having a breakfast in the hotel, proceed to excursion of Amer Fort where you take a joy ride on an Elephant to reach Fort. Later enjoy a guided city sightseeing tour, covering Hawa Mahal, Royal Observatory, NawabSahab - Ki - Haveli, City Palace and Johari Bazaar. Evening visit Chokhi Dhani Village, a beautiful village resort in Jaipur depicting the colourful lives of people living in the villages of Rajasthan. The food of Choki Dhani is marvelous. Dinner will be served in traditional fashion and is a very enjoyable experience. Drive back to the Hotel. Overnight stay in Jaipur. After having a breakfast in the hotel, check-out and drive to Budi, popularly known as “Chota Kashi. On arrival visit attractions such as Ummed Mahal or ChitraShala at Garh Palace. Some other popular destinations are SukhMahal, Rani Ji - ki - Baori (Step well), SukhMahal and eighty four pillared cenotaph. Later on check-in the assigned hotel in Bundi. Overnight stay in Bundi. After having a breakfast in the hotel, check-out & visit the city which holds the significance and proves of all the royal battles and all the royal love ,the city with history of war and romancewhich speaks about the winners and losers. Continue towards Chittaurgarh. Check into the hotel. Later sightseeing tour of the city visiting Chittaurgarh Fort. The sights in Chittaurgarh are the symbol of Trueness, Bravery and nobleness; the examples of Tower of Victory, Tower of Fame. Also visit Kalika Mata Temple and Jain Temple, an excellent example of architecture of those times. Later drive back to the hotel. Overnight stay in Chittaurgarh. After having breakfast in the hotel, check-out and drive for the city of Lakes, Udaipur. Check in at the hotel after arrival and later you can enjoy stunning views of the lake. Visit local market. Overnight stay in Udaipur. After having a breakfast in the hotel, proceed for Udaipur city tour and explore Lake Palace hotel that is situated on Jag Niwas Island make for the perfect view. Enjoy boat ride on Pichola. Sahelion-ki- Badi and Jagdish Temple are other places that you can explore. Return to the hotel and enjoy evenings the way you want and overnight stay in Udaipur. After having a breakfast in the hotel, proceed for Mount Abu and visit popular Jain Temples of Ranakpur. Upon arrival, check in at the assigned hotel and later explore Dilwara Jain Temple. Visit Nakki lake and other places. Magnificent view of the sunset will take your fancy away. Proceed back to the hotel and overnight stay in Mount Abu. After having a breakfast in the hotel, check-out & start your journey for Rohet Garh and here check-in at the assigned hotel. 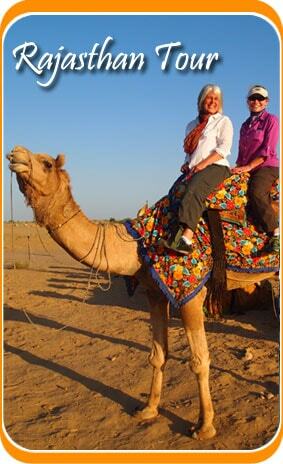 Later on head for a guided city tour & enjoy horse safari for famous Bishnoi village. Explore other places and then back to hotel and overnight stay in Rohet Garh. After having a breakfast in the hotel, check-out and drive to Luni. It is popularly known as city of forts. Luni River adds to the charm of these forts. Visit Chanwa fort and other tourist places of the town. Later on check-in the assigned hotel and overnight stay in Luni. After having a breakfast in the hotel, check-out and start your journey for Jodhpur. It’s known as magical blue city, it is visited by many tourists every year. Upon arrival check-in the assigned hotel and overnight stay in Jodhpur. After having a breakfast in the hotel, enjoy a guided trip of Jodhpur and visit the very famous Mehrangarh Fort that is known for its museum and architecture. Later in the visit India, you can explore Jaswant Thada followed by visit to Osian Temple that is located at a distance of 65 kms. Return to the hotel and overnight stay in Jodhpur. After having a breakfast in the hotel, check-out and start your journey to Manvar. This is the place which offers a great view and insight of Rajasthan. Upon arrival check-in at a tented camps and enjoy safaris. Overnight stay in Manvar. After having a breakfast in the hotel, check-out and start your journey for Jaisalmer. It is also known as the Golden City that was founded by Rao Jaisal. Upon arrival check-in to the assigned hotel and overnight stay in Jaisalmer. After having a breakfast in the hotel, proceed for a guided city tour of Jaisalmer visiting Sonargarh Fort situated at the Trikuta Hill. Later visit Patwon-ki-Haveli, Salam Singh-ki-Haveli and also visit Desert Culture center and museum. Overnight stay in Jaisalmer. After morning breakfast, start for Khimsar and check in at the hotel. Visit Khimsar fort as well as museum. Explore the city area in evening and later return to the hotel and overnight stay in Khimsar. After morning breakfast, proceed for your journey for Nagaur after having breakfast. Post arrival check in at the hotel. The place is famous for Cattle Fair and forts. Return to the hotel and overnight stay in Nagaur. After morning breakfast, proceed for your journey towards Bikaner and check-in to the hotel. Later on head towards a guided tour of Bikaner and visit Laxmi Niwas Palace and Junagarh Fort, Bhandasar Jain Temple, LalGarh Palace and Karni Mata Temple. Overnight stay in Bikaner. After morning breakfast, drive via Tal Chhaper Deer Sanctuary. After reaching Mandawa, you will be transferred to the hotel. Take a stroll of the town and visit Havelis of Mukundgarh, Dundlod and Laxmangarh. Overnight stay in Mandawa. After morning breakfast, check-out from the hotel and drive back to Delhi. After arriving in Delhi, check in at the hotel. Day at leisure and overnight stay in Delhi. After having a breakfast in the hotel, check out & our company representative will assist you to transfer to the Delhi international airport to board onward schedule flight. Your 23 Days Rajasthan Tour ends here..